FCC NYC Chinatown parade event or your mailbox! Welcome the Year of the Pig with two ALL NEW designs based on the Chinese Zodiac! 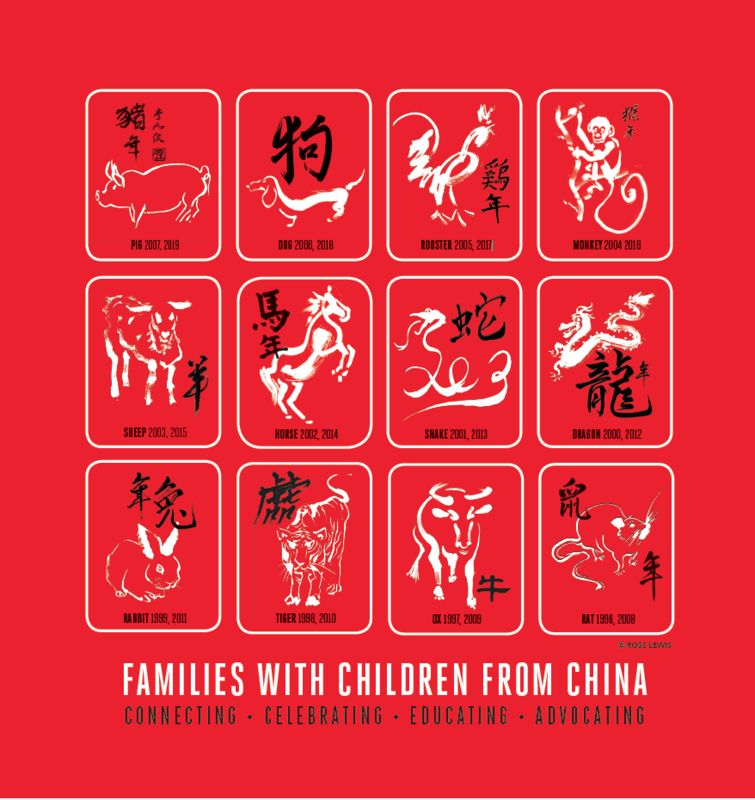 Talented FCC parents, installation artist Ross Lewis and art director Peter Herbert have created designs for each of the twelve Chinese Zodiac animals. 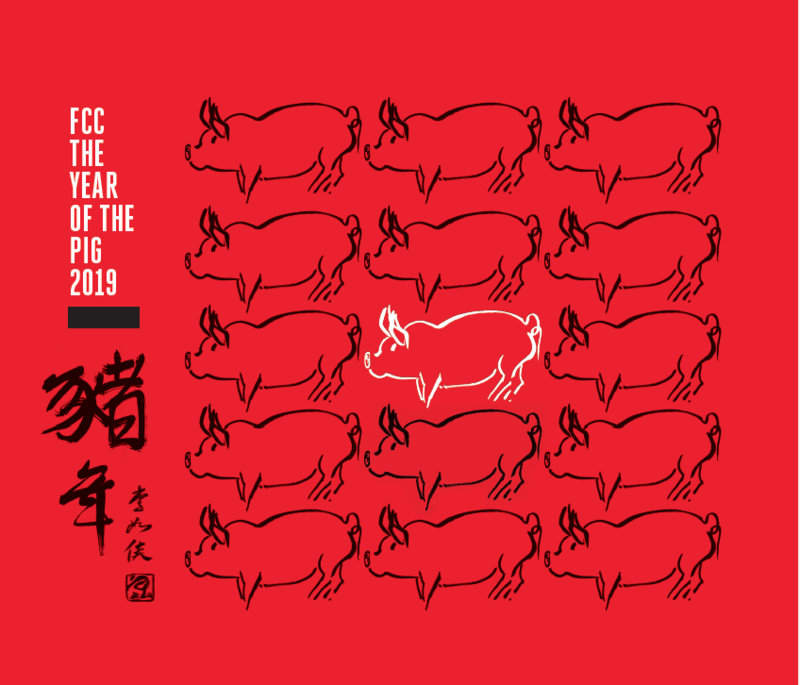 This year Ross and Peter put all twelve images together in one Zodiac Animals design, and also reset the original Pig image into a fresh new design for Year of the Pig 2019. Two great new designs to celebrate the Lunar New Year! Great gifts –perfect for the Lunar New Year! All Items $25.00, includes shipping and handling in the U.S. Items will also be on sale at our NYC Chinatown LNY pre-parade party! To order, register to the left. Double check your address. This is where the items will be shipped. All Sales support FCC’s Orphanage Assistance Programs, benefiting children in orphanage care in China. If you are interested in Art to Wear from previous years, we have limited stock, but please ask first, and do not include in your order.